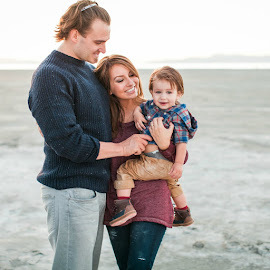 Lexi Michelle Blog: Save money with Groupon Coupons! Who else loves payday? Honestly, I love it and I hate it at the same time. It seems like every expense in the world comes up as soon as I get paid. Even if my paycheck is bigger than normal, it's still gone just as fast! It's ridiculous. For that reason, I try my best to save wherever I can. It's more than just waiting around for sales. I look for coupons now too! I'm not quite at the "extreme couponer" level yet, but I do save a bit with Groupon Coupons. They've actually got a pretty wide variety of coupons. Anything from food to clothing stores (like Dressbarn and Tommy Hilfiger) and spa packages! For example they have 16 coupons available for Shari's Berries alone! Haven't heard of Shari's Berries? 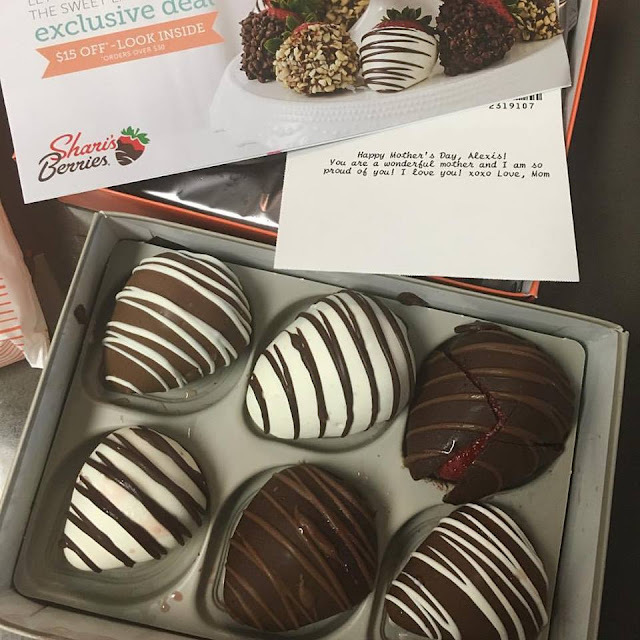 My mom always sends us their chocolate covered strawberries for birthdays and holidays. They are delicious, the presentation is amazing and they send them in a refrigerated box in the mail. It's a great gift for the holidays; we look forward to eating them! The last one my mom sent me was actually on a really rough day. David had just spilt the breast milk I had pumped for his sister all over himself so I had to give him a bath fast forward to him running away from me naked & pooping in the corner! Ugh! That mom life! (Ironically this was on Mother's Day!) Shari's Berries will always have a special spot in my heart because it made a rough day better. Do yourself a favor & check it out! If there's even the slightest possibility you could save money this holiday season, it's worth it! I only get coupons for Christmas as a gift they too are only for apple music store. I wish people would switch things up this year and give me food vouchers. nice article, get more offers and deals visit on getaway deals website it is amazing website, you can try it. Break outside of the Light in The Box Coupons and think what else would cause his face to light up when he sees it underneath the Christmas tree. great post and it contain great offers, thanks for sharing. I am looking for affiliate platforms to create websites. Do you have working experience with affiliate networks that we can work with to create a affiliate websites? Actually, I am planning to start affiliate marketing business and have a plan to launch coupons website and looking for affiliate platforms that are providing easy to use technology that we can use to build up coupons website with ease. I have checked a lot of options for the purpose but I found revglue and there solution to build coupons website looking very easy to use, how to create coupons website with revglue can be found at revglue(. )com/blog-detail/3-how-to-setup-a-responsive-uk-cashback-or-coupons-website-quickly-and-cheaply, but I have a problem I didn't hear about this platform and I am confused while using it, because some fraudster exist in the market that are betraying. If anyone have working experience with this platform please share your experience.